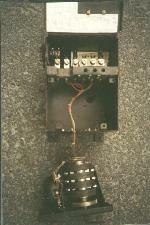 The EE-91 is a wall mounted metal telephone box. 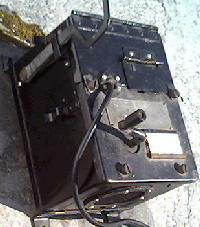 It is a common battery phone which means transmitter current is obtained from the central office battery. 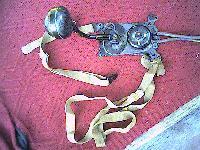 It is equipped with a single gong ringer. 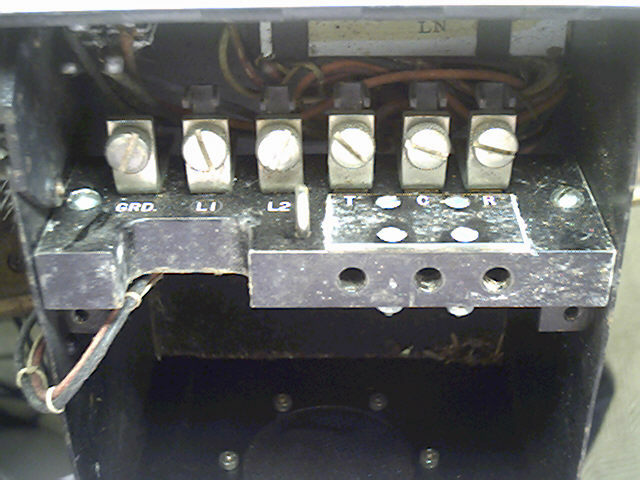 It has a hand generator for signalling magneto lines. 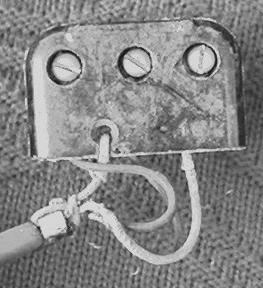 It has an antisidetone circuit. 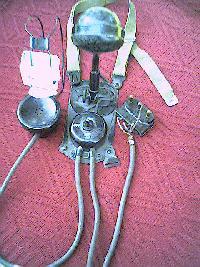 It uses a handset TS-12 but it isn't part of EE-91. When the EE-91 is mounted in a wooden box for outdoor use it's called the EE-92. 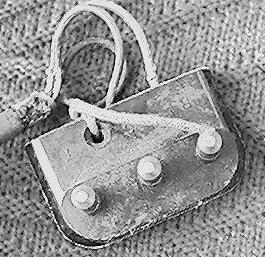 When the EE-91 is mounted in a metal box for outdoor use it's called the EE-93. 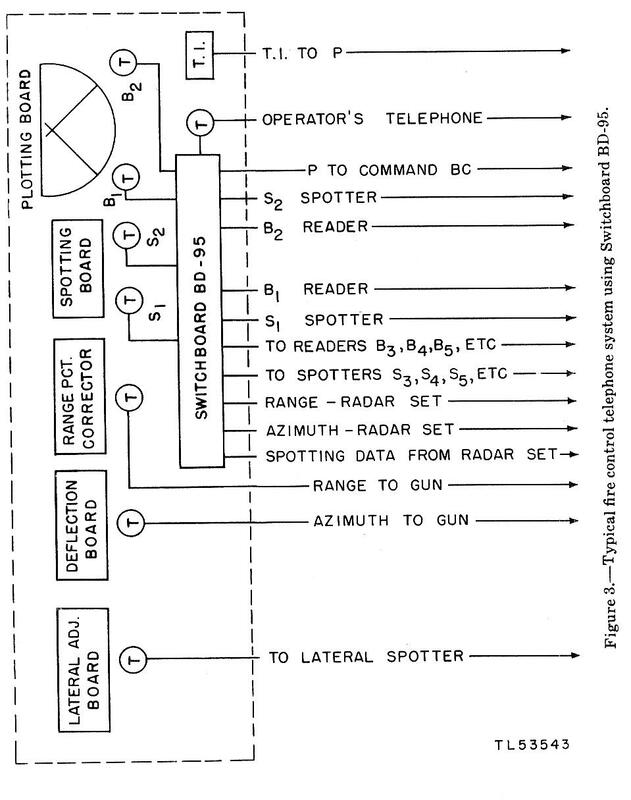 In TM 11-2052 (on the BD-95 and BD-105 switchboards) on page 2 a EE-91 is shown in Fig. 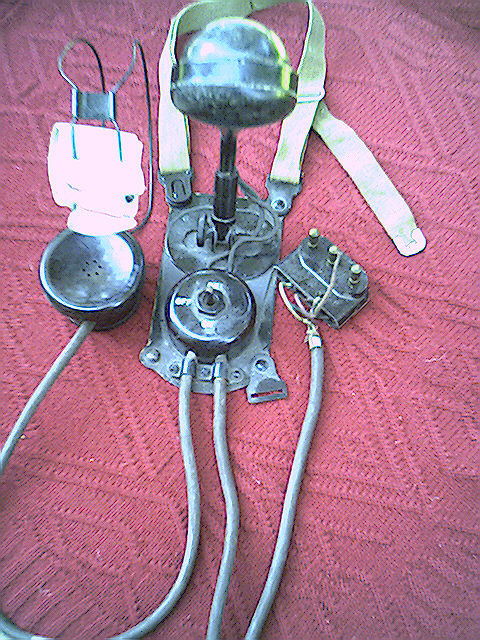 2 as the operator's telephone. 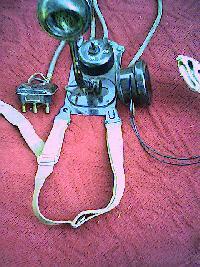 Listed for use with the EE-91 are: HS-17-A head and chest set, TD-2 chest set, HS-30 headset. On page 5 in Fig. 5, a EE-91 is shown with a TS-12() handset. 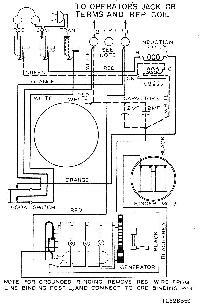 Schematics of the EE-91 are on pages 40 and 41. 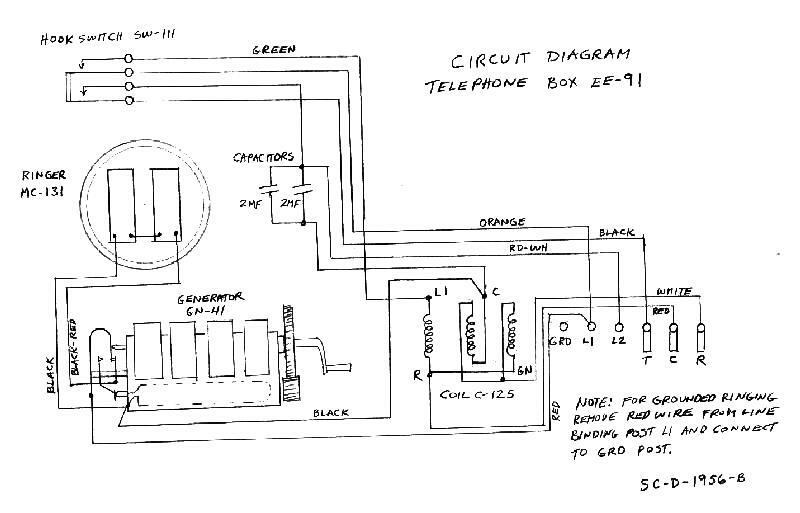 My only references for the EE-91 are the phone itself (obviously a common battery phone, unless one used a sound-powered handset) and the manual on the BD-95/BD-105 switchboard which has quite a bit about the EE-91. They only use the EE-91 as the operator's phone and provide it with talk battery from the switchboard. 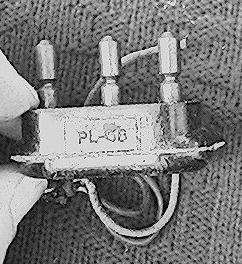 However, none of the subscriber lines has battery supplied, as you would expect for a local battery magneto board for use with EE-8 or similar. 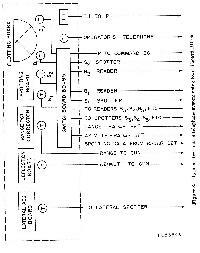 The schematic of the phone shows the transmitter in series with L1 side of the line. This certainly suggests a carbon transmitter rather than a sound-powered dynamic. 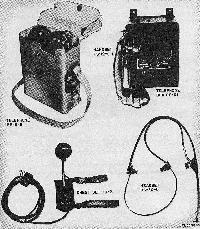 The auxiliary equipment for use with the EE-91 lists the handset TS-12 and a chest set TD-2. I can't find any documents on either of these to determine if they are carbon. Our phones do not have any of these items attached. Numbered figures below are from TM 11-2052, switchboards BD-95 and BD-105. 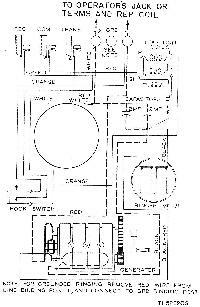 Schematic inside phone. Click for redrawn version. General view of EE-91 telephone s/n 1919 with unmarked handset containing receiver AECo D-5189-A Type 41 LU (49mm dia) and transmitter AECo 41 D-38309-A UO (54mm dia). 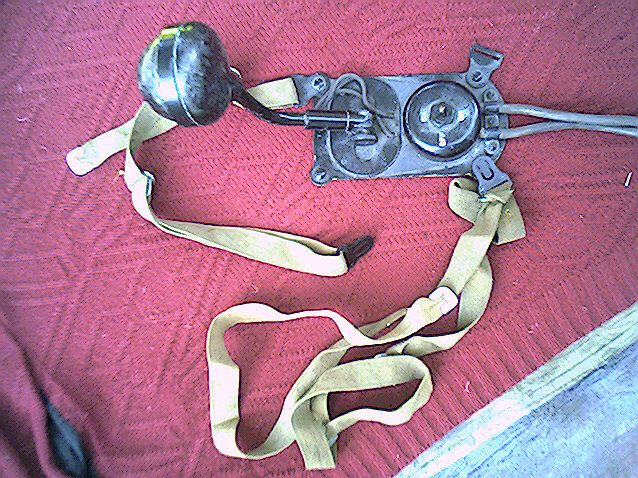 Telephone with cover open. Magneto attached to lid at bottom. Line and handset terminals and headset jack. 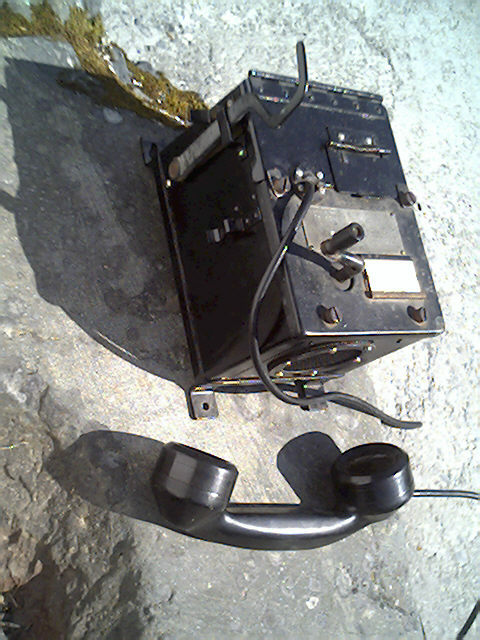 Fig 2: EE-91 show as operator phone with BD-95 switchboard. 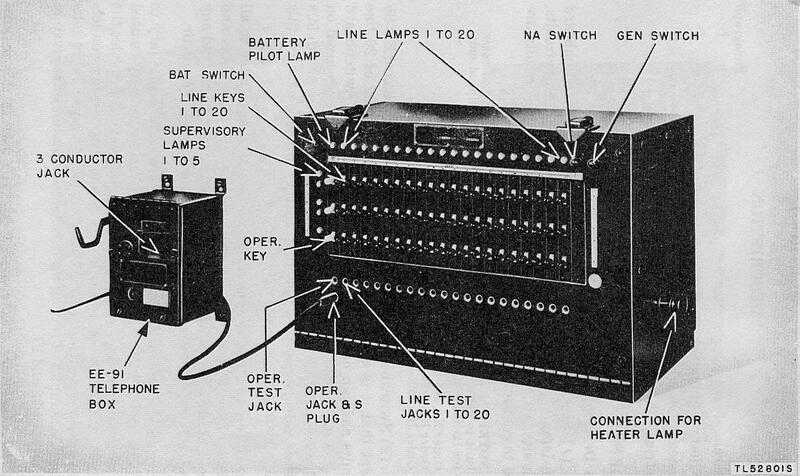 Fig 3: Typical fire control telephone syetem using switchboard BD-95. 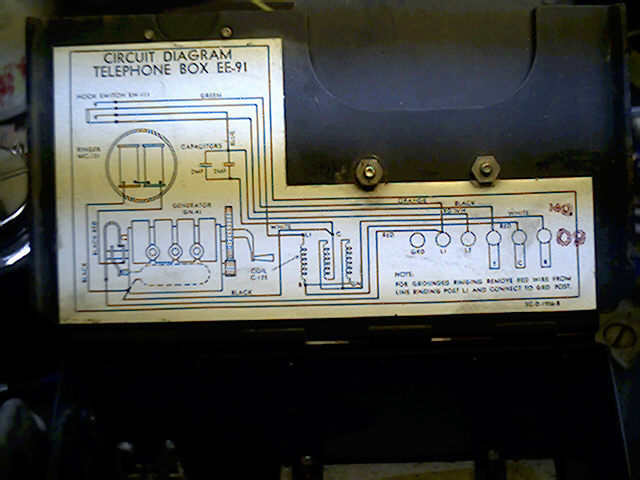 The typical fire control telephone system would use a BD-95 with most, but not all, of the FC phones connected. Some of the phones are shown as run direct and not through a switchboard. Fig 4: Head and chest set HS-17-A. 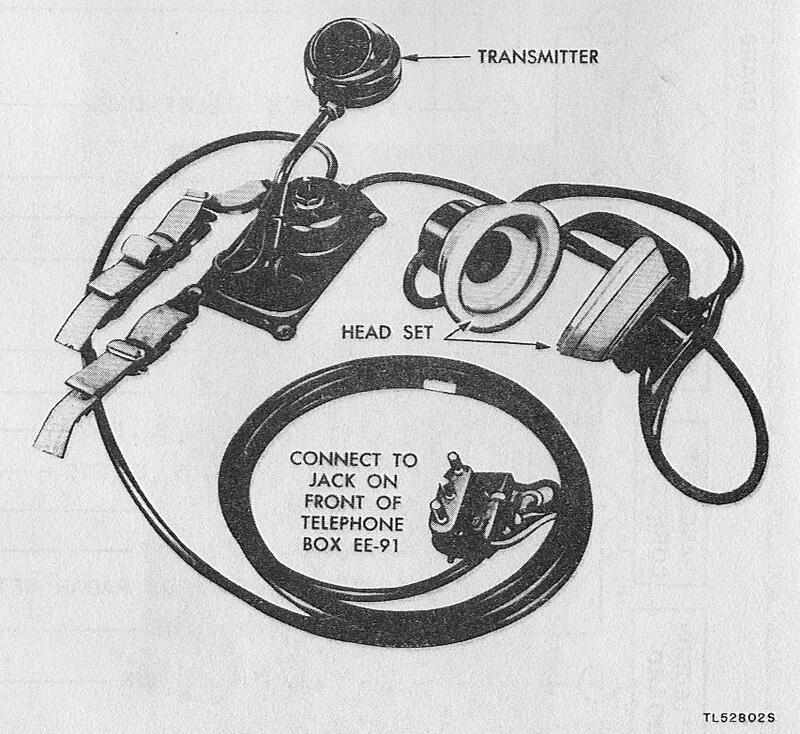 Fig 5: Additional auxiliary equipment for BD-95 including telephone EE-8-B, telephone box EE-91 with handset TS-12, chest set TD-2 and headset HS-30-U. 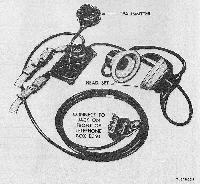 Fig 38: EE-91 operator's talking circuit. 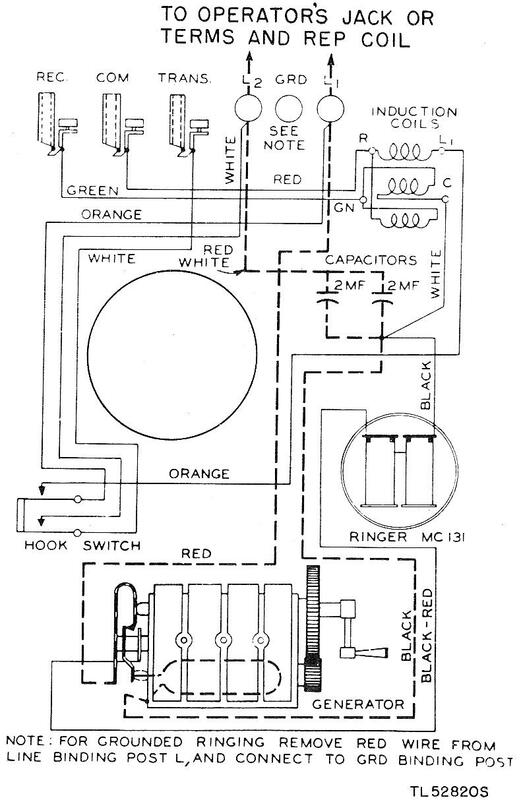 Fig 39: EE-91 operator's ringing circuit. 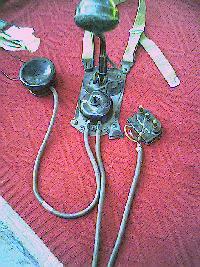 Museum's T-26 chestset with R22 receiver. 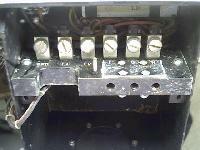 The toggle switch is three position: center off, up momentary on, down latch on. 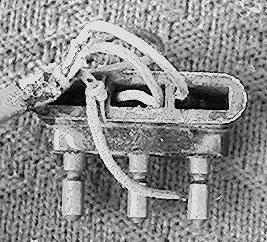 The transmitter element is a WECO 141914 5/42 F1 with spit cup. 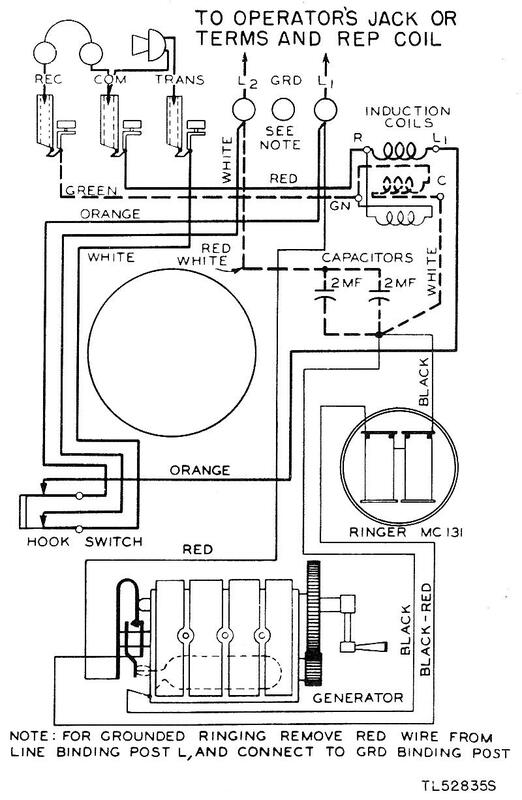 The receiver in the R-22-A is a WECO D-141915 7-25-42 G-229. The pins are 6mm diameter. Center to center spacing is 16.8mm between R and C, 20.8mm between C and T.